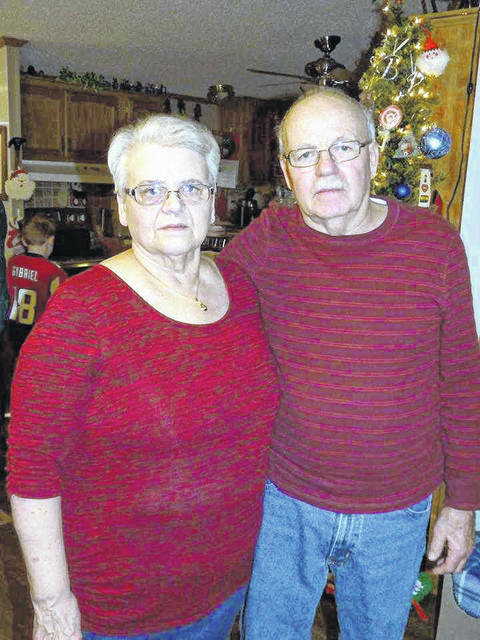 Ronald L. and Barbara K. (Boyce) Pinson of Minford recently observed their 50th wedding anniversary. The couple was wed June 22nd, 1968 at the Sciotodale Freewill Baptist Church. Mr. Pinson is the son of the late Orville and Olive (Wessel) Pinson. He is a 1966 graduate of Minford High School. Ronald is a retired Teamster and former co-owner of Pinson & Pinson Farm Equipment in Lucasville. Mrs. Pinson is the daughter of the late Benjamin and Mary (Porter) Boyce. She is a 1966 graduate of Wheelersburg High School. Barbara is a retired housekeeper. The Pinsons have two sons and two daughters-in-law, Kevin (Amy) Pinson of Zanesville and Eric (Melanie) Pinson of Grove City. They also have four grandchildren, Alexander and Caroline Pinson of Zanesville and Tanner and Carter Pinson of Grove City.